Designed with a penchant for speed, the 7D Mark II is characterized by its APS-C-sized 20.2MP CMOS sensor, dual DIGIC 6 image processors, and a top continuous shooting rate of 10 fps. An already very capable imaging machine, the EOS 7D Mark II DSLR Camera with 18-135mm Lens and W-E1 Wi-Fi Adapter from Canon takes the camera's capabilities up a notch with the inclusion of an SD-card-sized item that adds Wi-Fi connectivity to the camera. Both a 65-point all cross-type phase-detection AF system and Dual Pixel CMOS AF technology benefit fast, accurate focusing performance for both optical viewfinder and live view shooting. Additionally, the combination of the dual image processors along with the CMOS sensor also contribute to enhanced low-light sensitivity to a native ISO 16000, which is further expandable to ISO 51200. The 3.0" 1.04m-Dot ClearView II LCD Monitor​ accurately shows all the minute details and lets you instantly preview images and videos. The capacitive sensing technology allows you to adjust the brightness as well.The 20.2MP Canon camera helps you capture crystal clear images with its ISO 16000 which is further expandable to ISO 51200, which also contributes to its impressive performance irrespective of the lighting conditions. The CMOS sensor combines with advanced DIGIC 6 image processing engine to maintain sharpness and clarity of pictures that you click. The camera has an inbuilt flash that helps capture good quality pictures in low light situations. Featuring a durable magnesium alloy body with a shutter tested to 200,000 cycles, along with enhanced mirror and shutter drive mechanisms, this rugged camera is also sealed to resist dust and moisture for use in inclement conditions. On the rear of the camera is a bright, large 3.0" 1.04m-dot LCD screen that can be used for live view monitoring, image review, and menu navigation. It features a smudge-resistant and anti-reflective Clear View II coating to better enable viewing in bright lighting conditions. Alternatively, for eye-level finding, an optical Intelligent Viewfinder II is incorporated into the design and provides 100% frame coverage, for greater composition accuracy, and an overlay display to highlight pertinent shooting settings, such as a digital level, exposure information, and other camera functions. Included with the 7D Mark II is the EF-S 18-135mm f/3.5-5.6 IS USM lens, which provides a 35mm-equivalent focal length of 28.8-216mm. Covering a range of perspectives from wide-angle to telephoto-length, this lens is a highly versatile tool for use in everyday situations for both still image and movie recording. Its design integrates a NANO USM motor with both ring-type USM and STM technologies that provides near-silent focusing abilities with smooth and precise control for both stills and video. Additionally, the optical image stabilization system helps to minimize the appearance of camera shake by up to four shutter speed steps in order to benefit working in low-light conditions and with greater zoom magnifications. The Canon EOS 7D Mark II DSLR ​camera allows you to shoot high quality, full HD videos without any interruption. It is equipped with a Hybrid CMOS AF III that enables the camera to rapidly autofocus in LIVE view mode, during off center shooting. Additionally, the 19 point, all cross type AF is useful in tracking the subject. With many other useful features like exposure control, intelligent viewfinder, fast shutter speed, and advanced image processing options, you can make optimum use of this DSLR camera. 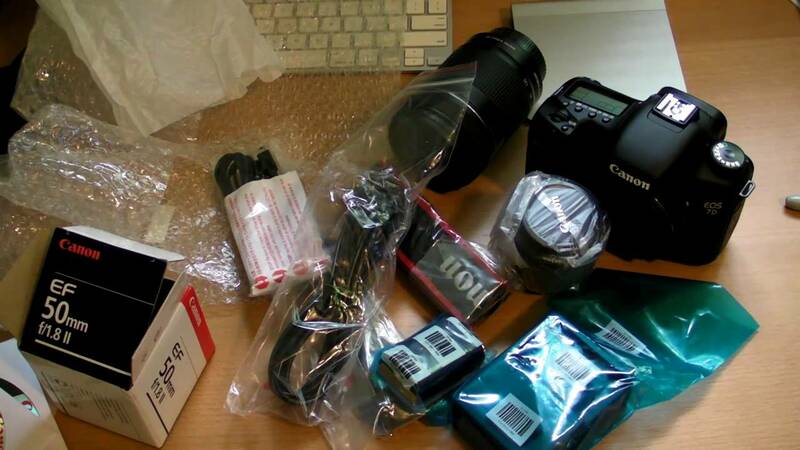 You can also participate in LIVE view shooting or burst shooting while using the DSLR. The 1 x LP-E6N Rechargeable Lithium-Ion Battery Pack, 7.2 VDC, 1865 mAh of the Canon 7D Mark II keeps it working for long stretches of hours without any interruption. 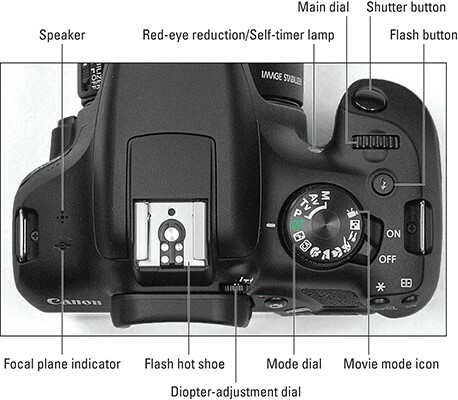 In addition to supporting HDMI connectivity, the Canon EOS 7D supports remote controlled operations. Supporting NFC and WiFi, you can easily share your favorite moments with the world. Order the Canon EOS 7D​ Mark II today and have it delivered to your doorstep within 1-3 working days or same day delivery within Nairobi. Payment on delivery.